Building a novel in threads is an easy way to create a seemingly elaborate literary system. Many authors construct their books with a series of alternating chapters, each named after the current moment’s protagonist, and build their tension with careful cuts and overlays in plot. While it’s good fun to revel in a cast’s inter-connectivity, few writers have finessed this kind of networking into a story that conveys the disconnection and loneliness between its characters. 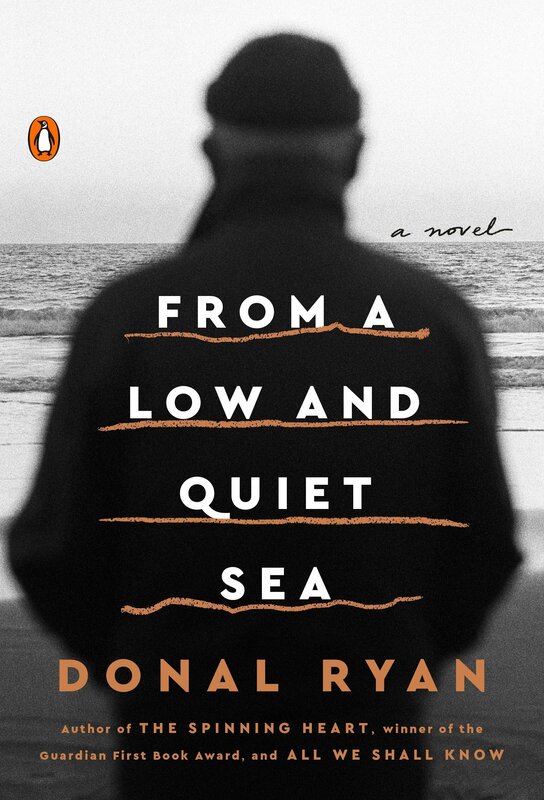 Longlisted for the 2018 Man Booker Prize, Donal Ryan’s From a Low and Quiet Sea achieves this feat in a sobering, carefully calculated manner. In three threads, Ryan beautifully shows that lives may touch but never truly meet and understand each other, and that one’s history is their own, no matter the emotional parallels. Ryan neatly divides his novel into three fifty-page segments, each focusing on one character. The first follows Farouk, a Syrian doctor who decides to flee his country with his wife and daughter. Initially, Ryan recounts the harrowingly tense few days as Farouk and his family piece together their illicit boat arrangements. Farouk and his wife struggle to see eye-to-eye regarding the severity of their country’s situation: they waver between choosing what’s safest and easiest, all while dwelling on things said and left unsaid. Marked with tragedy, Farouk’s emigration and immigration is devastating and an important, timely text. The novel’s second act follows Lampy, an Irish lad living with his mother and grandfather. He drives a van for a retirement home, and suffers the emotional plight of many young adult suburbanites who yearn for something more. His story is full of girlfriend woes, pub tales, and memories of his mates at school. Lampy is a loveable sort of nobody and his story is impressively heartfelt, but its proximity to Farouk’s saga leaves him looking both privileged and spoiled (although he’s certainly neither). Both have felt love and loss, but with drastically different magnitudes. Ryan changes his pace dramatically in the novel’s third section, which recounts the life of an elderly man named John. Ryan switches here from the stylized third person perspective of Farouk and Lampy to a hazy first person narrative. John’s story is a miasma of memories and family turmoil that gives From a Low and Quiet Sea yet another variation on the theme of love and purpose. John’s connection to Lampy is implied and pushes the novel towards its final act, but his muddled story and its tonal shift dampen the productivity of an already low and quiet novel.